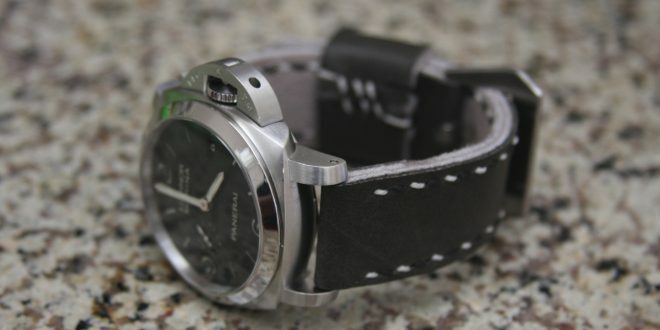 If you had a chance to read our first review of this amazing strap maker then you will get a quick feel of why we picked this strap maker to be featured here on Panerai Central. In case you don’t feel like going back and reading the previous review, I will give you a quick backstory. 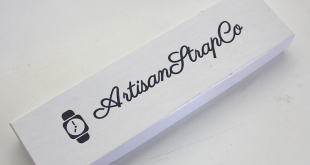 I found this strap maker through their Instagram pictures, which lead me to their Facebook page. From there we went back and forth and I was actually able to meet them in person and get a first hand experience into their strap making and customization. Needless to say their straps and creativity considering how new they were to the industry amazed me. In this review we are going to take a look at a custom made grey strap by the one and only Hanzoku Leatherworks. Where do I begin with this strap? I guess the first thing you will notice when you look at this strap is the alternate stitching around the edges of the strap. 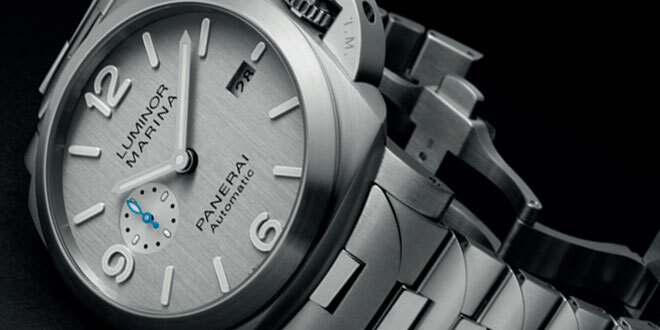 True to their name and unique design the managed to think outside the box and create a strap that appeals to the Panerai enthusiast that is not looking for a normal strap. On this strap the black and white diagonal stitching surrounds very supple grey leather. Much like the first strap I reviewed this strap is made of super soft leather. It’s one thing that keeps drawing me back to their straps. I cannot get over the fact of how soft their straps are. Ever thought about wearing a pillow around your wrist? Then get one of their straps and you will know what I am talking about. The grey leather has a beautiful grain that needs to be admired from up close. The underside of the strap is finished off with soft suede that truly is a joy to have against the skin. The suede is a lighter shade of grey that is also visible on the edges of the strap, which adds a nice contrast to the strap itself. As with the other strap, this custom strap has a single thick floating keeper featuring their signature corset stitch on the underside. I stated this before but the stitch is so beautiful I sometimes wear it on the outside to show it off. Since I was able to meet them in person I had the luxury of having this strap truly custom fit with one single hole, which just adds to the one of a kind nature of their straps. All I can say is this strap is as ready to wear as soon as you get it. There is no need to break this strap in whatsoever. Unlike OEM or other strap makers this Hanzoku strap will wrap lusciously around your wrist and feel like you have worn it for years. Pair the softness of the strap with the smooth suede underside and you have a winning combination. Even though the strap is on the thicker side you won’t feel any discomfort. Instead it will feel like you have a soft pillow wrapped around your wrist. You can easily go hours on end and not have any issues wearing this strap. Hanzoku Straps pride themselves in not using Veg Dyed leather that tends to get hard and need time to break in. They search far and wide for Dyed Aniline leather, which is on another level in terms of comfort. 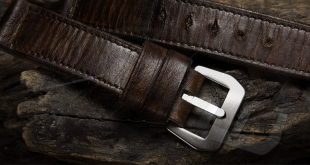 Imagine a thick strap such as this feeling as soft and flexible as one thin layer of the finest Italian leather. 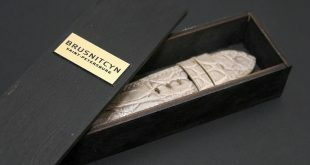 The underside of the strap is a soft natural suede material that is easy on the wrists. I would have to give this a 10/10 when it comes to comfort. As I mentioned previously the workmanship on this strap is superb. I would have never guessed in a million years that someone who started this out as a hobby a few short months ago created this strap. It proves that if you have a passion for something you will go above and beyond to put out something that is truly worthy of your name. 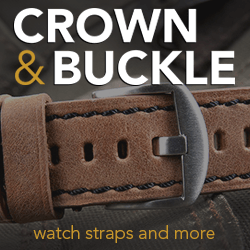 I have no doubts based on the quality of the stitching, gluing, and build that this strap is made for the long haul. 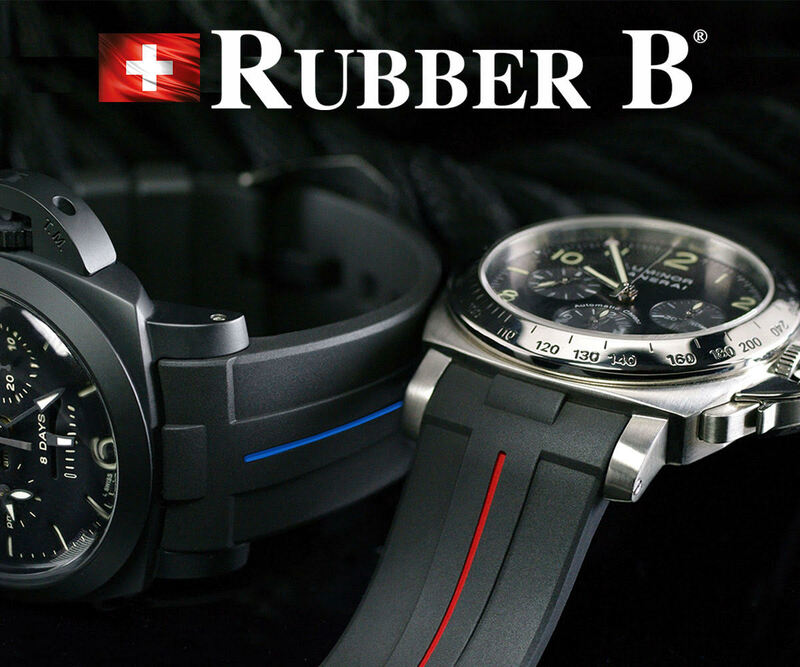 Incredibly soft leather despite the thickness of the strap. Ultra comfortable from day 1, no break in period needed. I didn’t get one of these straps sooner! 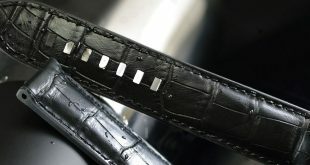 Hanzoku makes one of a kind straps and they are always getting in new leathers daily. The best thing would be to contact them via Facebook or email. You can also follow their Instagram to see some of their latest creations. Hanzoku assured me that they are in the strap making business to bring something fresh, new, and unique to the market. If there is a special request they will find a way to create it down to the stitching style and color. 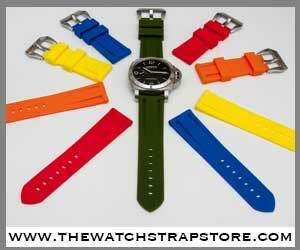 Straps are not limited to Panerai watches; they can make a strap for practically any watch on the market.